The NexDock 2 takes the power of your smartphone or Raspberry Pi and creates a laptop experience with a Full HD display, a plethora of ports including a headphone jack, four USB ports and a HDMI port. The NexDock 2 is currently available for US$199 on Kickstarter and ships in September. We may mention it in our reviews, but have you ever used Huawei's EMUI Easy Projection or Samsung DeX? Likewise, have you ever wanted to use your Raspberry Pi on the go? Well, Nex Computer thinks that enough people do and has developed the second generation of its NexDock, which it has imaginatively called the NexDock 2. The device connects to your smartphone via USB Type-C, enabling DeX or EMUI Easy Projection like if you connected your device to any other external monitor. The NexDock 2 also works with Raspberry Pi via HDMI, Type-A and Type-C connections. Incidentally, the original NexDock reached over US$350,000 on Indiegogo in March 2016 with all backers reportedly receiving their devices by the end of that same year. Now, the company has re-branded from NexDock Team to Nex Computer and has brought the NexDock 2 to Kickstarter, which has already received US$390,640 in pledges of its US$50,000 goal from 1,729 backers. The campaign has 8 days to go at the time of writing, with Nex Computer estimating that it hopes to have all NexDock 2 devices delivered by September 2019. 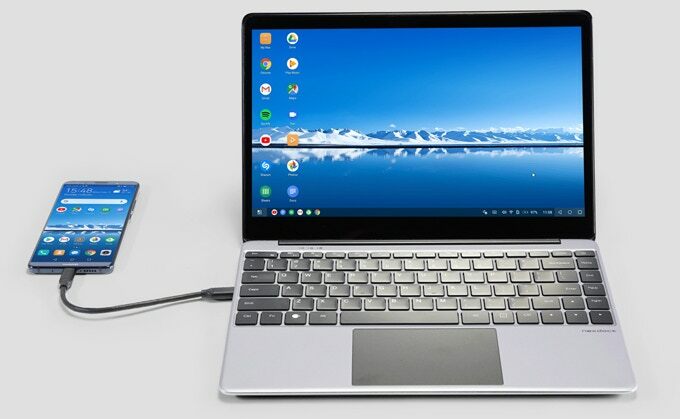 The NexDock 2 looks like any other modern compact laptop with its aluminium chassis, a 13.3-inch Full HD (1080p) IPS display, a full-sized QWERTY keyboard and a large multi-touch trackpad. The device also measures 317 x 215 x 15.9 mm and weighs 1.42 kg, making it slightly bulkier than most contemporary laptop designs. The NexDock 2 has a 38 Wh battery and four 1 W speakers too. Nex Computer stresses that it has designed the NexDock 2 with Huawei, Samsung and Raspberry Pi devices in mind, but it will also work as a secondary laptop display or as a monitor for games consoles. The NexDock 2 comes with a USB Type-C Power Delivery (PD) charger, a Type-C to Type-C cable and a Type-C splitter cable. The device is currently available as an Early Bird deal for US$199 and has a US$279 expected retail price.